Houston, Texas experienced a hip-hop renaissance in the early 2000's and they brought their local culture to the hip-hop forefront. Chopped and screwed records, sippin' lean, and keeping it trill became common themes amongst rappers from all over the country. Although music has been inspired by the Houston sound from rappers from other regions, nothing beats the authentic Houston emcee that is really from the culture. 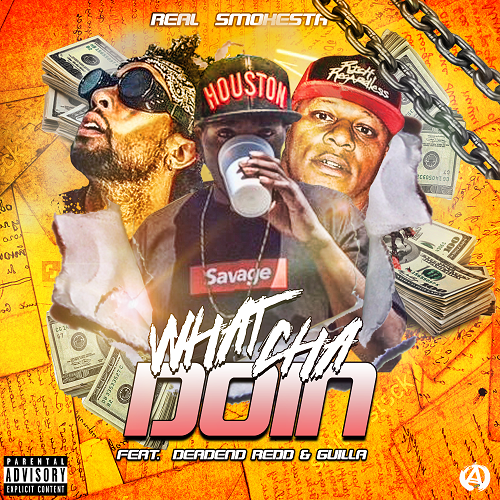 Real Smokesta is exactly that, cut from the same cloth as the pioneers that popularized the sound (Even collaborating with Paul Wall on "Here For Everything") Real Smokesta is bringing it back to the essence with "What Cha Doin" feating Deadend Redd and Guilla. Although this track has clear Houston traditionalist elements, it also has a modernized bop that is built to exist in 2018. Look for "What Cha Doin" to take over the clubs and look for Real Smokesta to put that real Houston sound back to the forefront.